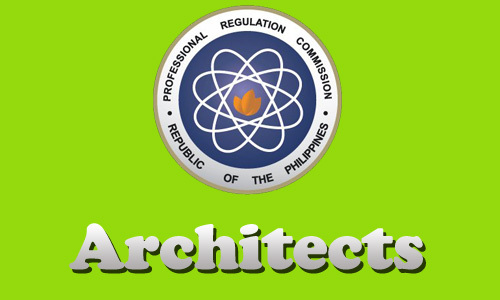 The takers of the Architect Licensure Examination (ALE) are now able to see the results on this page. PRC gave this exam in the city of Manila on June 7 and 9, 2013. Architect Licensure Examination have a total of 901 passers out of 1,76 examinees who was also known as June 2013 Architect Board Exam Results. PRC conducted the said exam twice a year. And usually the releasing of results takes only two (2) days after the last day of exam. For the meantime, If you feel that this details are informative, please bookmark it now or visit this site more often for you to be updated. You may also share this post to your friends so they may know about June 2013 Architects (ALE) Board Exam Results. Comments or suggestions about "June 2013 Architects (ALE) Board Exam Results" is important to us, you may share it by using the comment box below.